Enjoy a Beautiful, Barrier-Free Shower. 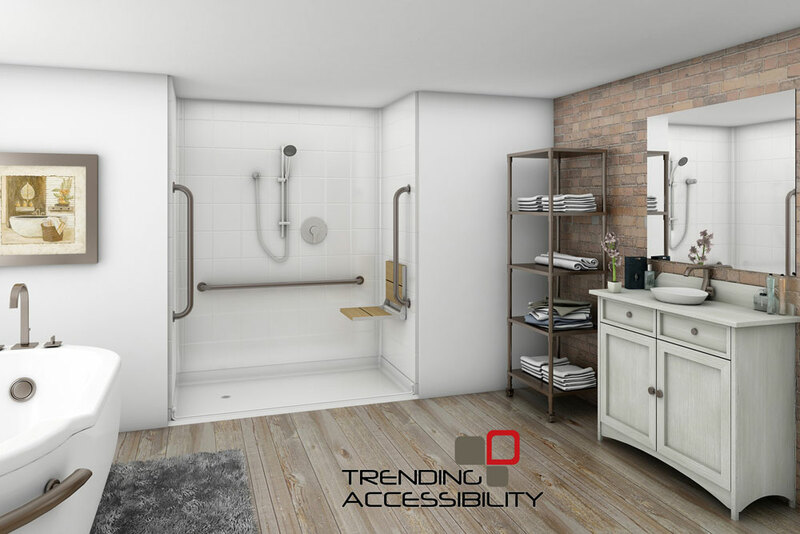 Stylish and elegant showers provide truly functional solutions for baby boomers, their parents and people with disabilities. 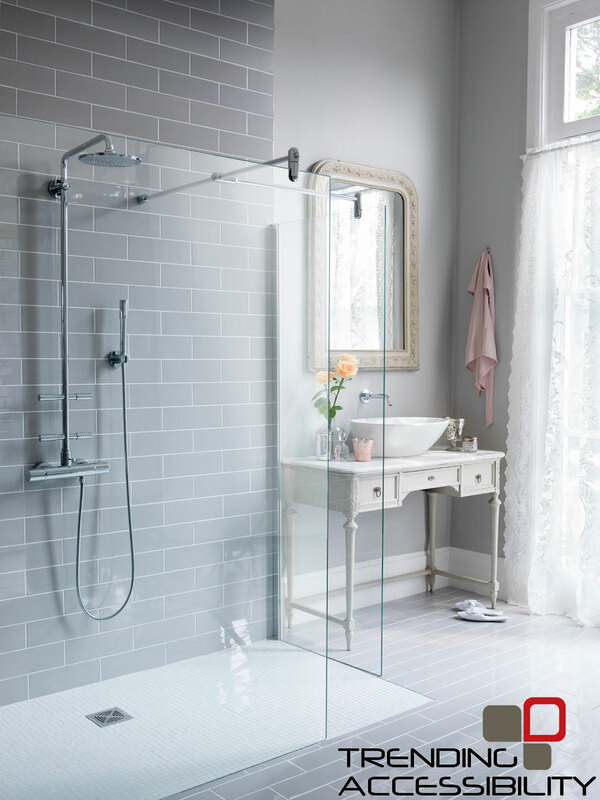 We can create level entry showers using pre-sloped shower pans suitable for tiled floors. Stylish accessories are available to enhance the user's safety and showering experience. Our products are guaranteed and our service is unmatched. 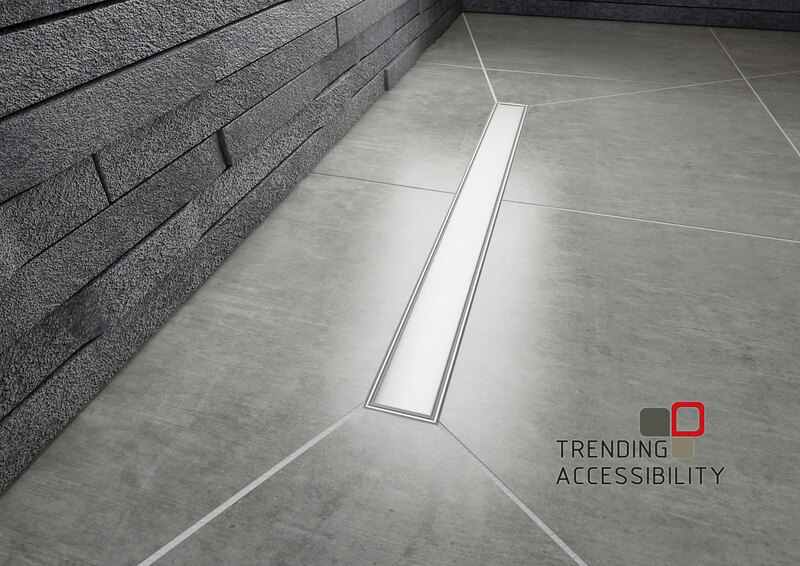 Working with Trending Solutions and AKW, the industry leaders in product design and innovation, Kenny's can provide you with a stylish, universally designed home design and installation plan. 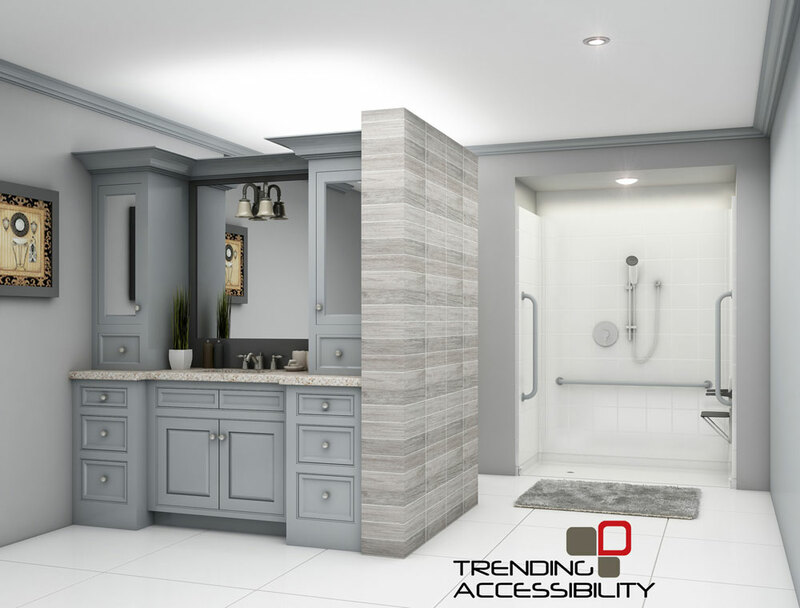 Some of our universal design bathroom products include: full height safety glass screens, barrier free shower bases, gravity drains, heavy-duty grab bars, fold up shower seats, bath seats and more! Achieve dreams of independence, meet lifestyle goals and enjoy peace of mind while staying in the home you love. Click here for a free home evaluation and estimate.